Irish start-up Inflazome has won $1 million in funding from the Michael J. Fox Foundation (MJFF) to help it develop a brain imaging probe for Parkinson’s, as well as a new drug class for the disease. The cash injection will be used to support a positron emission tomography (PET) imaging technique that will help Inflazome bring forward small molecule drugs that target NLRP3, a protein complex or ‘inflammasome’ thought to be involved in harmful inflammatory processes in Parkinson’s and other neurodegenerative diseases. Specifically, the money will be used to fund the development of a PET tracer that will be able to identify the presence of NLRP3 inflammasomes, which are part of the innate immune system and a defence against pathogens. In some diseases, including Parkinson’s, it is thought that the inflammasome starts to function incorrectly and becomes activated even when there is no pathogen to fight, leading to the destruction of neurons in the brain. The hope is that giving drugs that block NLRP3 activation in the brain can prevent the loss of brain cells and, in turn, stop the loss of motor function that is the main symptom in Parkinson’s. 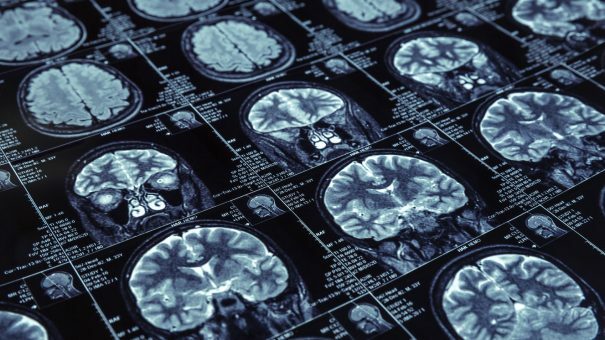 There are no medications on the market that prevent brain cell loss in Parkinson’s patients, with current therapies focusing on managing symptoms. Inflazome says the non-invasive PET tracer will be able to image inflammasome-driven inflammation in the brain and show whether its NLRP3-targeted drugs are binding to the inflammasomes as intended. The PET tracer will also be used to select patients for inclusion in clinical trials “at the appropriate staging” of Parkinson’s disease, says the biotech, and that should increase the chance of showing a positive result if the drugs are effective. It will also help Inflazome to determine what doses are needed for patients in larger clinical trials in the future. Inflazome’s founders – Matt Cooper of the University of Queensland in Brisbane and immunologist Luke O’Neill of Trinity College Dublin – have shown in previous studies that an NLRP3 inhibitor called MCC950 given orally once a day halted the development of Parkinson’s in several animal models of the disease. That work was also funded by the MJFF. MCC950 was originally a Pfizer drug tested for rheumatoid arthritis, but never advanced beyond phase 1 b development, according to a recent Nature article. The biotech completed a €40 million (around $46m) second-round financing to take its NLRP3 inflammasome drugs into clinical trials to treat diseases characterised by chronic, low-level inflammation.